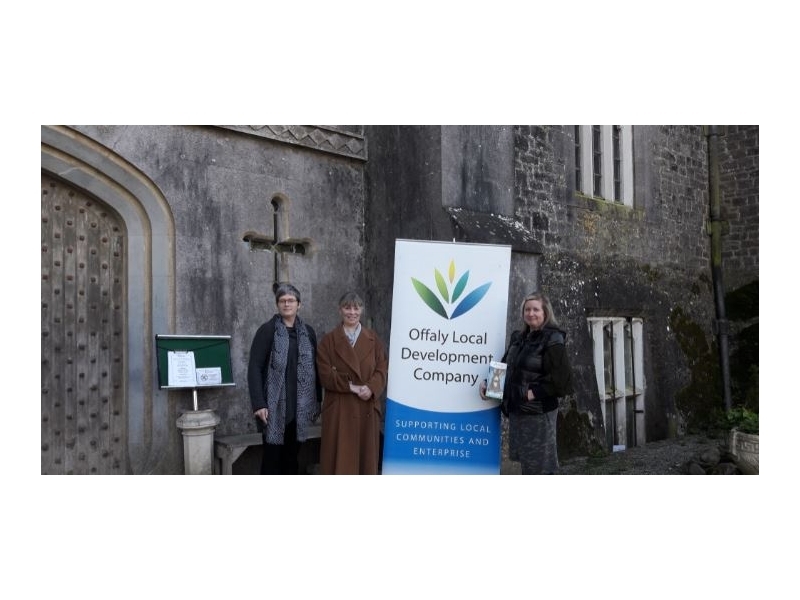 Offaly Local Development Company surprised Bridget Vance and Terri Dale Kearney. Terri was very happy to accept a gift on behalf of all volunteers at Charleville Castle. Charleville Castle is a Gothic-style castle located in County Offaly, Ireland, bordering the town of Tullamore, near the River Clodiagh. It is considered one of the finest of its type in the country. The Charleville Castle Heritage Trust is managed by Dudley Stewart, with the day-to-day running handled by volunteers. Here at OLDC we are celebrating our 10th Birthday. It is a time to thankful and to celebrate community spirit .As part of our celebrations we are recognising our community groups and their achievements. Who knows where we will pop up next!! !